The Museum’s annual summer peace camp will be held on June 24-28, from 9am to noon each day. The camp is open to students ages 5 to 12. Campers can register now online by going to the link on the peace camp page on the Museum website. Register early as the camp sells out each year. Something’s happening here! Exhibit creator Grace is hard at work on the Museum’s third floor landing creating a new and improved exhibit on climate change, pollution, habitat destruction and wildlife extinction happening all around us. Look for an announcement for this new exhibit opening soon. Every Wednesday is Zensday at the Peace Museum! We offer free meditation at 5:15, followed by yoga with Kaye at 6pm. Bring your reusable water bottle and mat or borrow one of ours. The next museum exhibit is on the Opioid Crisis that has plagued the country and no less the Miami Valley for the past few years. The exhibit will focus on solutions and ways in which the crisis is being managed locally. A reception and dialogue is scheduled for 2pm Saturday, April 27 at the Museum. The event is free. Five University of Dayton seniors are working with the Museum staff to create a plan for retrofitting a modern elevator into a 155 year old Victorian mansion house. The Museum wants to fix this issue to welcome all visitors to the first two floors. No easy task but the group, who’ve dubbed themselves “The Elevator Team” are not going to give up lightly! Expect their report by the end of April. A panel from the new exhibit on immigration shows the racist viewpoint from more than a century earlier in America-This time the enemy was the Chinese immigrants who migrated in mass mostly to the West coast of America. Earlier groups were targeted for being Catholic or Jewish or from a particular country like Ireland, Italy or Germany..
Save the date for next October 1 for the start of the University of Dayton’s Human Rights 4 day conference. The new Brad Heckman art collection exhibit is being prepared and will go on display at the Museum by the end of April. Brad was the keynote speaker in December’s annual Nobel Peace Prize luncheon. Global Youth Day! The Museum received the help from over a dozen area teens who learned about the Museum and gave every window and staircase a thorough cleaning. The Museum has been in need of a good Spring cleaning after our long Winter! Thanks for the help! Part of the University of Dayton engineering team high above Monument St checking out our rooftop Widow’s Walk. The team hope to present ideas to the Museum on how better to make the exterior of the building “pop” to represent all the good work that happens inside the Peace Museum. Twice a year, the Museum holds a fundraiser that includes a variety of soups, bread, salad, drinks and desserts. We enjoyed live blues music and great food. If you missed out this time, wait until September for Cool Soups. The Museum is completely updating the Dayton Peace Accords exhibit and needs help from those people who were involved 24 years ago. Do you have a story, original photographs, or memorabilia you would be willing to share? Contact us please! "Peace Offerings from the Earth: Sacred Elements/Sacred Gifts." Our mantra for the week is "Peace is an Offering"
inspired by the book La Paz es una Ofrenda by Annette Le Box and Stephanie Graegin. The camp fee will be $50 for the first child in a household, $35 for the second, and $15 for every child thereafter. Scholarships will be available for families who may be unable to pay the full cost. The scholarship application is available by emailing Lesley Thomas at LThomas@nationaltrail.us . 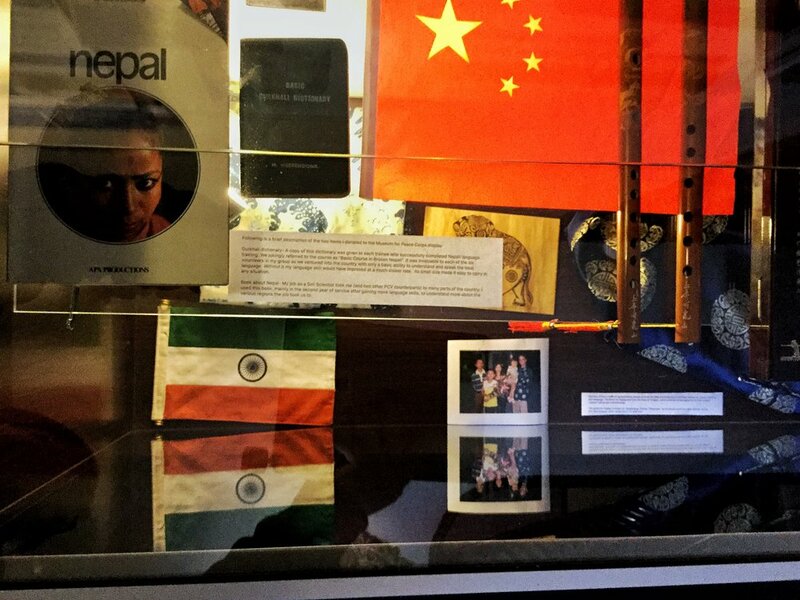 The Dayton International Peace Museum was recently awarded the Silver Medal and Seal of Transparency by GuideStar.org. The independent reporting agency is the world's largest source of information about nonprofit organizations. 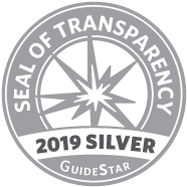 GuideStar rates non-profits on their reliability in reporting legal and tax information, board of trustee data, diversity of boards, communication, statistics on donor giving and financial stability. The new exhibit is on the Opioid Crisis and how it has affected the Miami Valley in the past few years and what is being done to solve it. Join us on Saturday, April 27 at 2pm to hear personal stories from those directly affected by the epidemic. Also at 1 pm on April 27, come learn about volunteering opportunities at the Museum. We need all types of help, not just giving tours. Sign ups for Peace Camp continues until the camp sells out, which it usually does by the end of April! Sign up on this website. In June, an exhibit and original film will feature how members of the Dayton area faith communities are working to solve poverty in Dayton, which statistically has twice the average rate of poverty to comparable communities in the US. The Museum holds monthly volunteer breakfasts for current volunteers and those interested in becoming more involved. Look for announcements on the next event. Visiting the Peace Museum on a snowy Sunday with time to learn more about how to celebrate builders of peace, including Malala. A Native American elder from Black Mesa, AZ speaks to a crowd to discuss the issues facing people on western reservations. 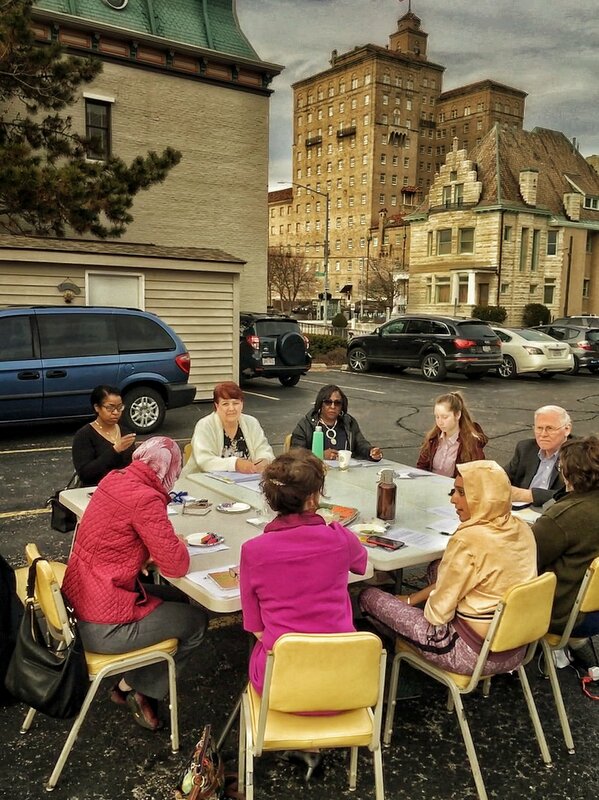 The March museum board meeting happened to fall on the warmest day of the year and members took full advantage to enjoy an early evening meeting in the museum’s parking lot. Blues aficionado and museum supporter and friend, Chris Yakopcic performed at the Museum’s semi-annual Hot Soups Cool Blues event. Dayton Convention and Visitor Center employees Sonja and Iggy get roped into helping hoist banners on the side of the Museum one recent and windy day! Writing graffiti on the border wall and answering questions for prizes! 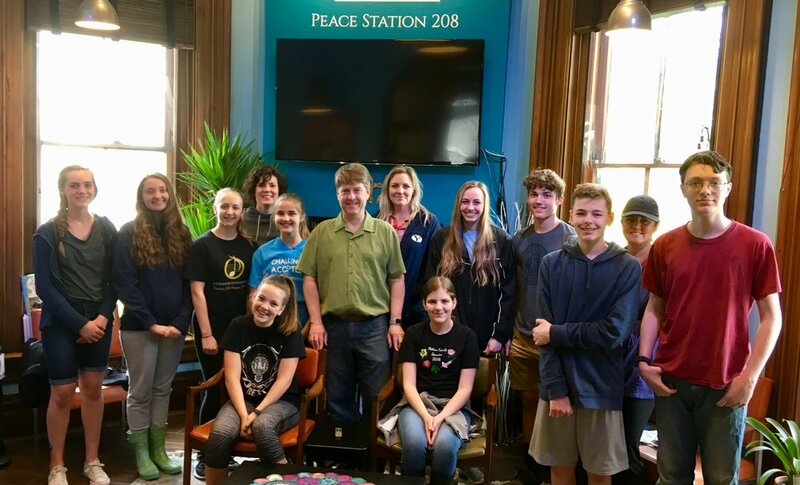 Members of the Sinclair Community College High School Scholars program meet up on a recent Saturday morning to learn all about America’s ONLY Peace Museum!. After an arguably long and cold Winter, Spring has finally kicked in with tulips, daffodils, and soon irises blooming all around the Museum gardens. Professor Kenneth Madsen of Ohio State University pulls door prize winners from questions on the Mexican Border Wall exhibit at the Museum. Members of the Dayton SORVOS-a group of returned Peace Corps volunteers have let the Museum borrow some of the treasures they collected on their two year adventure overseas. The collection will be on view through the summer. Keo, a teenager from Minnesota spent a couple hours of his spring breakout the Peace Museum doing research on the Dayton Peace Accords. Keo is preparing for his school’s annual National History Day project, which for him will be a ten minute video production. Artists of the Woman Strong exhibit answer questions from University of Dayton students touring the multi-discipline art exhibit in December 2018. Giving tours to school groups often requires volunteer museum guides to come in early, but the Museum is committed to young people and promoting nonviolence and the merits of building peace and friendships in our community. The annual Peace Camp will be held on June 24-28, 2019 downtown. Look for the link on the website and social media any second now!. University of Dayton students toured the museum in January and took photos for the annual “Museum Selfie Day” event celebrated by museums worldwide. With lots of musical instruments to try out, he museum’s children room never fails to draw a crowd. Arguably the loudest room in the museum. Sinclair and University of Dayton students discuss the United Nations Declaration of Human Rights in small groups and over a Mexican meal from the Taqueria Mixteca. Denis, was one of seven Russian journalists visiting Dayton for a week. Included was a tour of the Museum and a roundtable discussion of media in the two countries. Members of the Museum’s teen program listen to thoughts on mediation from Dayton Mediation Center director, Arch Grieve. The Museum continues to draw documentary filmmakers interested in learning about the only peace museum in North or South America. How do you support the Museum? The Museum’s teens had their own table and feasted on the buffet lunch. Fun Facts: The Issac Pollack House was completed as the American Civil War was ending in 1865 and Abe Lincoln was president.. The house was one of two identical mansion houses build, side by side on Third St. in the style of Victorian Second Empire, popular during the mid 19th century and the reign of England’s Queen Victoria. Mentors and students of the teen TIPS program meet for food and fun at #nightatthepeacemuseum. Five University of Dayton senior engineering students study blueprints of the Museum to help them design an elevator in an historic building. The goal is to make the Museum accessible to everyone, regardless of physical limitations. The current staircases prohibit some visitors from reaching the upper floors. 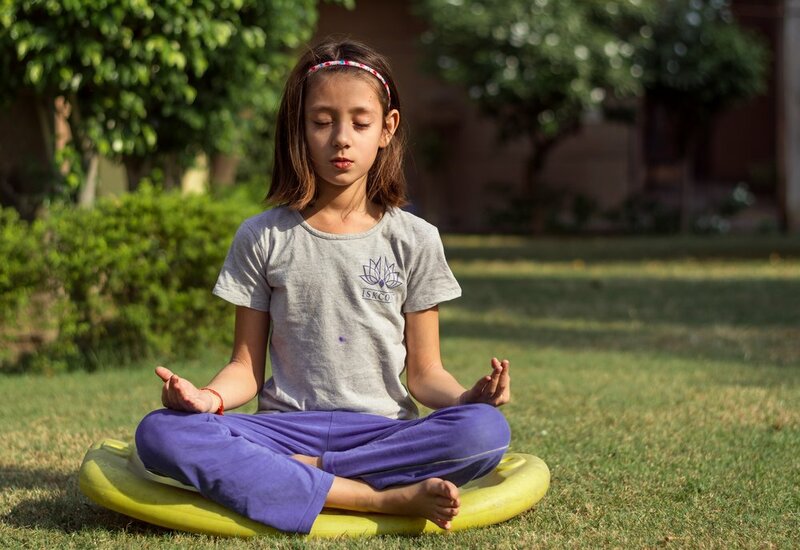 ZENSday: Free Meditation & Yoga! Kenaesha (Kay) Edwards is an AFAA Certified Group Exercise Instructor who has led Zumba classes for three years in Dayton, Ohio. In seeking to expand her own fitness journey, Kay began taking Yoga classes and recently completed YogaFit training to, also, share her passion for Yoga with others. Prior to becoming a Group Exercise Instructor, Kay embarked upon her own fitness and improved health journey, which has led to a 175-pound weight loss. Through her experience, Kay learned that maintaining overall health and well-being is a continuous, lifelong journey and developed a passion to support and encourage others in their fitness journeys. In each of her classes, Kay strives to ensure a judgment-free atmosphere so that each of her students feels welcomed and accepted, recalling the challenges she encountered when initially beginning fitness classes. THANK YOU to all our sponsors in our annual HOT SOUPS event! THANK YOU to all those who donated to the Winter Clothing Drive-the outcome was impressive and will do much to help those in the Dayton area this Winter! Do you have a passion for peace? Bring your talents and join us. See the Volunteer page for details! Did you know you can support the Dayton International Peace Museum just by shopping at Kroger? It's easy when you enroll in Kroger Community Rewards®! To get started, sign up with your Plus Card below, and select the Museum. Once you're enrolled, you'll earn rewards for the museum every time you shop and use your Plus Card! Peace literacy happens when we learn skills and knowledge from everyday local peace heroes. Hundreds gathered at the 4th Annual Five Rivers PbX to explore peace building that helps our region and world flourish. The setting was the new, state-of-the-art Dayton Metro Library and include a plenary session featuring Paul K. Chappell, live music from Rap artist, Kim Belew and Spoken Word artist, Angell Peace. Also included a new painting, Les femmes sont humaines by Patsy Ferrell as well as ten Break-Out Sessions. Fred Armet speaks to a crowd on September 16, 2018 about DatyonPeace and the Cities of Peace program at the new downtown dayton Metro Library. 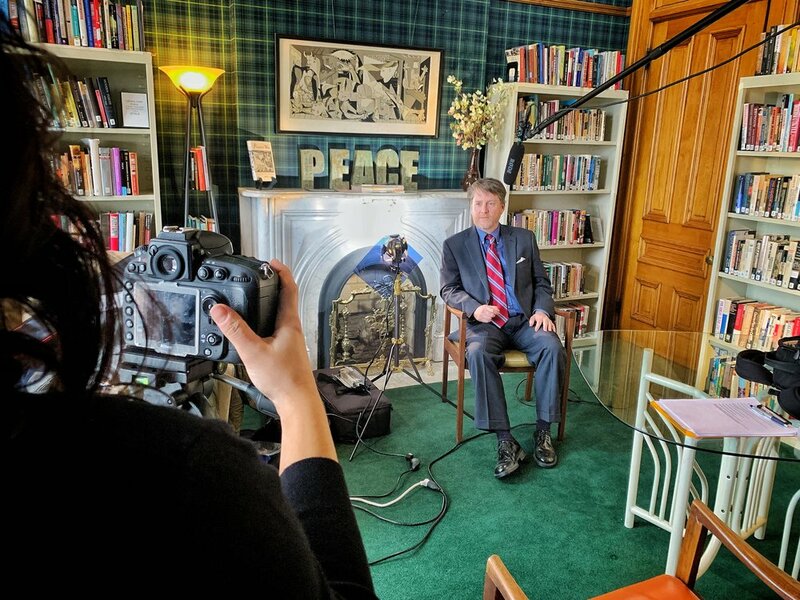 Part of the mission of the Peace Builder’s Experience is to recognize and celebrate Peace Heroes, which are “often an everyday person who accepts risk and succeeds in making the world a less violent and a more just place.” -Jerry Leggett, 21st Century Peace Literacy Foundation. Do you have an interest in creating new exhibits? The Museum is always looking for new talent. Click on Volunteers to learn more on how you can help. What are Cities of Peace? Where are Cities of Peace? Why are Cities of Peace Important? How can we foster an Economy of Peace? Dayton was the first "City of Peace" and now there are more than 150 Cities of Peace worldwide. Come see the exhibit at the Dayton International Peace Museum to answer these questions. This is the ABC News account of the story of Ted Studebaker, just after he was killed in Viet Nam in 1971. It was resurrected from partial film elements found in both the Brethren Historical Library and Archives in Elgin, IL and the Archives at Manchester College, North Manchester, IN and re-edited to replicate the original broadcast. Ted Studebaker (born September 29, 1945, outside of Dayton, Ohio) was a pacifist and conscientious objector who served as an agricultural worker during the Vietnam War and was executed by North Vietnam in 1971. Studebaker was the 7th child of eight born on a farm in the small town of West Milton, Ohio. He was a devout member of the Church of the Brethren, and also excelled in sports and played football in high school as well as in college where he attended the small liberal arts school Manchester College in Indiana. He then attended Florida State University for two years pursuing his graduate degree in social work before he left for Vietnam. 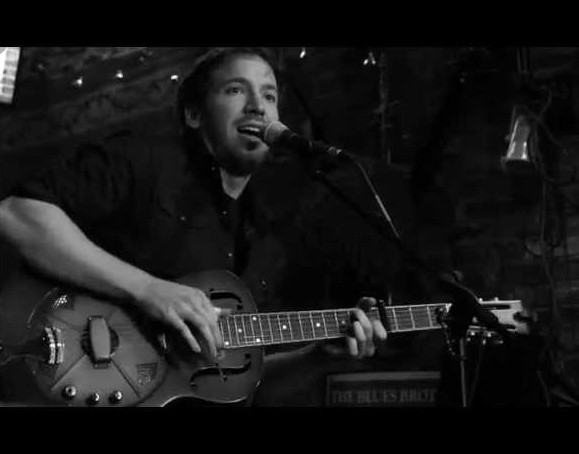 He also had a great love for music and was a guitarist. While in Vietnam he volunteered with the Vietnam Christian service where he volunteered for two years working with a Montagnard hill tribe where he helped them with agricultural production. He was killed on April 26, 1971 by North Vietnamese when they first attacked the volunteers’ house with rockets and then invaded. The soldiers did not know who Studebaker was, they merely saw him as an American and therefore a threat and so he was executed. The lives of his wife and other volunteers were spared. The Museum guide to the Peace Labyrinth: Quilting the Golden Rule is now available online to help before, during, or after your visit to the exhibit. What does peace look like through the eyes of a child?